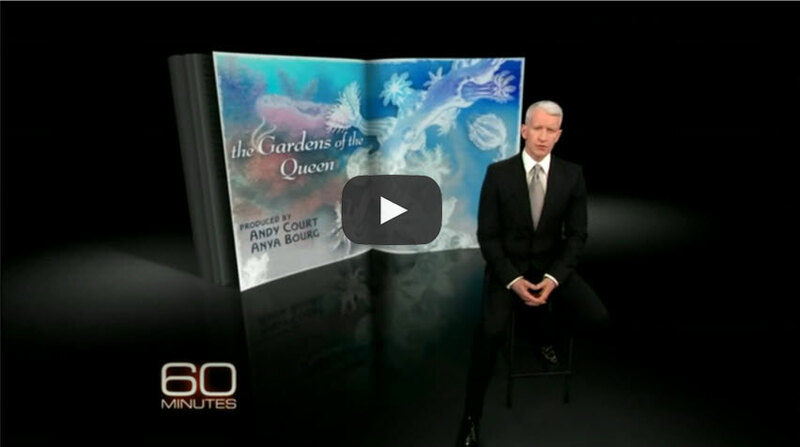 Our work researching and protecting Cuba’s coral reef ecosystems was featured on an award-winning segment of the CBS news program, 60 Minutes hosted by Anderson Cooper. 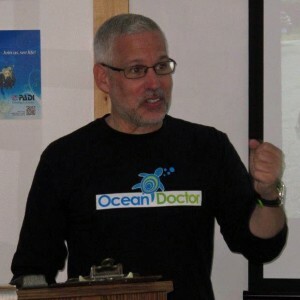 Dr. David E. Guggenheim is a marine scientist, conservation policy specialist, submarine pilot, ocean explorer, filmmaker, author and educator. 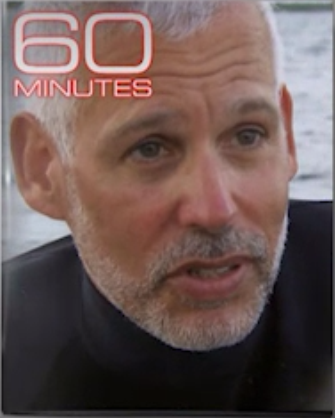 He is president and founder of the Washington, DC-based nonprofit organization, Ocean Doctor. Guggenheim directs Cuba Conservancy — an Ocean Doctor Program, and is in his 18th year leading research and conservation efforts in Cuba focused on coral reefs and sea turtles, a joint effort with the University of Havana. His work was recently featured on 60 Minutes. Guggenheim led the formation of the Trinational Initiative for Marine Science & Conservation in the Gulf of Mexico & Western Caribbean, a major project to elevate collaboration in marine science and conservation among Cuba, Mexico and the U.S. to a new level. 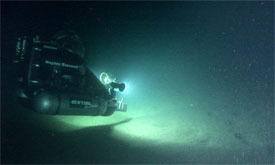 As an ocean explorer, Guggenheim piloted the first-ever manned submersible dives into the world’s largest underwater canyons in the Bering Sea as a scientific advisor to Greenpeace. With incredible video and imagery, the Ocean Doctor takes your audience on an unforgettable journey thousands of feet below the ocean’s surface, to the wilds of Cuba, and into the imaginations of today’s deep-sea technology inventors. Dr. Guggenheim speaks to a wide range of audiences at a wide range of events, including college and university events, charity events, business meetings and conferences, for groups ranging from 20 to 2,000, kindergarten to seniors. His programs are captivating and inspirational, capturing the wonder of the oceans and the magic of discovery while also providing an important message about the state of our oceans and their future. Guggenheim draws from his personal accounts around the world, illustrating his personal adventures and experiences with his stunning photographs and underwater videos set to music. Dr. Guggenheim is fluent in Spanish and gives presentations in Spanish as well as English. For a free, no-obligation quote for your speaking event, please complete the form below. Speaking fees vary depending on travel time, preparation effort, and participation in additional activities. A discounted rate is provided for schools and nonprofit organizations. Please fill out the form below or give us a call at +1 (202) 695-2550. This is a school request for a speech as part of The Ocean Doctor's "50 Years - 50 States - 50 Speeches Expedition"
From the hallways of Washington, DC to thousands of feet below the sea, get a unique perspective on our oceans including their threats and what is being done to reverse their decline. Learn how our perspectives on the oceans have changed over the past 50 years and, despite our species’ journey into space, how little we actually know about the salt-water-covered portion of our own planet. Guggenheim directs Cuba Conservancy — an Ocean Doctor Program, and is in his 14th year leading research and conservation efforts in Cuba focused on coral reefs, a joint effort with the University of Havana. His work was recently featured on 60 Minutes with Anderson Cooper, on the PBS Nature series and on NPR. In a world of corals dead and dying, Cuba’s marine ecosystems are spectacularly healthy, a Jurassic Park-like experience teeming with endangered species seldom seen elsewhere in the Caribbean, including bountiful sharks and grouper. We visit Gardens of the Queen, named by Christopher Columbus 500 years ago to honor Queen Isabella — truly a living time machine — and explore why this area is so healthy and what the implications are for ocean ecosystems around the world. Take a ride in the DeepWorker submersible and learn how to pilot this amazing little sub. Dr. Guggenheim provides a brief history of ocean exploration, some other notable submarines, and then takes the audience on a journey to Alaska’s Bering Sea to explore deepwater corals living at 2,000 feet — the oldest animals living today. 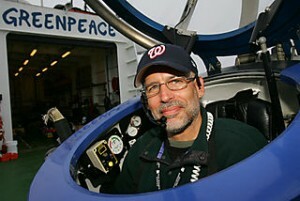 Dr. Guggenheim piloted the first manned submersible dive into the largest underwater canyons in the world: Pribolof Canyon and Zhemchug Canyon, both in the Bering Sea. Dr. Guggenheim will discuss how important deep sea ecosystems and corals are, how they are being destroyed by the ton and why exploration of the deep, dark waters of the world holds the key to their survival. In 2011, Dr. Guggenheim was a lecturer aboard the MS Prince Albert II, transiting from tip of South America to the tip of South Africa, and witnessed the worst environmental disaster of his life. A soybean bulk carrier slammed into Nightingale Island, part of the most remote inhabited island group in the world, Tristan da Cunha. He produced a 25-minute documentary, Disaster at Nightingale, which premiered in 2013, detailing this disaster and how it killed thousands of endangered Northern Rockhopper penguins. The film has started an important conversation in Washington, DC and elsewhere about the risks to remote places around the world that harbor some of the planet’s most treasured wildlife. Dr. Guggenheim will present the film, discuss its production and ongoing efforts to save penguins in the South Atlantic and around the world. The world is warming rapidly. What is in store for our oceans and what does it mean for us? Equally serious yet getting very little attention is climate change’s “evil twin” — acid oceans — and why the end could be near for most of the coral reefs on earth this century. The presentation includes excerpts from Dr. Guggenheim’s testimony before the Scottish Parliament. It also examines reasons for hope in Cuba and learn how we all can work together to solve the problems caused by these terrible twins. What have we learned from the BP disaster? See the events of the disaster unfold through the lens of the conservation community, working to prevent a major international incident with Cuba, organizing the scientific community against the use of chemical dispersants, and working to help communities in the Gulf recover. Are we ready for another blowout? And what about the Arctic? Dr. Guggenheim’s work in the Gulf has been featured on Good Morning America, MSNBC and PBS Newshour. Industrial fishing is one of the most destructive forces impacting the oceans today. By shifting their consumption to sustainably-caught or sustainably-farmed fish, consumers have the power to make a difference. But choosing the right fish to eat is difficult for the consumer, either from a conservation or a health perspective. We hear eating fish is good for you, but eating too much can be harmful due to mercury and other contaminants. 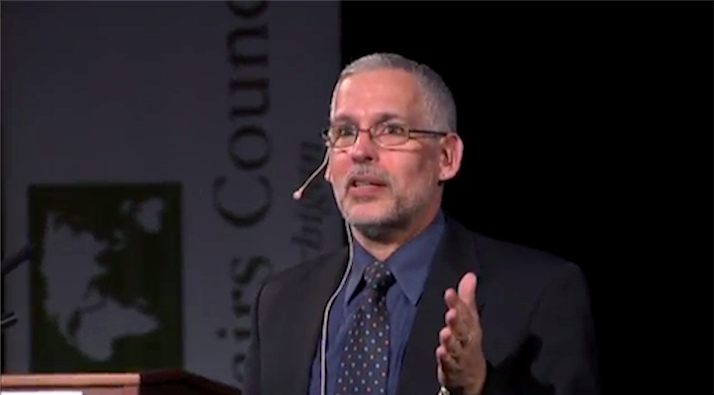 Dr. Guggenheim simplifies these complex issues, provides easy-to-follow guidance and gives a peek at the future of fish: land-based, high-tech sustainable fish farms. Click for additional details on past and upcoming events and appearances. Wow, David, you did a terrific job last night! I could tell from all the comments I heard afterwards what a big and positive impression you made on everyone in the audience. Everybody loved your presentation and found it fascinating. You were eloquent, informative, and persuasive. I particularly appreciated your emphasis on telling details, like the Hollywood film made from The Sea Around Us, and the stunning stills and footage you sprinkled through your talk were captivating. Your great content, along with your relaxed, informal, and friendly way of presenting, made the evening rich and memorable. Thank you so much! I’m am immensely grateful to you. My students were also thrilled that you came to class to talk to them before you spoke to the jam-packed audience in the Wechsler Theater. Thanks again! I would like to thank you for your talk at our Rotary Club of Ojai meeting. In my 38 years as a member I have never seen such a positive reception. Thank you again ‘Ocean Doctor’ for opening our eyes to the wonders of the sea and the responsibility that we all share in maintaining it for future generations. Dr. Guggenheim was an invaluable contributor to our annual program. His engaging and entertaining presentation taught our community about the fragility of the world’s oceans, what we can do to protect them, and why it is essential to do so. He gave our community the necessary tools to address local environmental issues with our government to ensure regulations are put in place to protect our environment. Ocean Doctor, David Guggenheim transported elementary students, college students and residents from local watersheds to hidden treasures in the ocean’s depths. He emphasized that stewardship of natural resources not only benefits local communities, but all downstream communities, including the most unexplored ocean depths. He encouraged young students to prepare themselves for a science career and be part of the next generation to further explore the ocean’s secrets. He was a captivating and energizing speaker. We would like to invite David back for future presentations.